Knightfall is a historical fiction drama television series created by Don Handfield and Richard Rayner for the History channel. Filmed in Czech Republic and Croatia, it premiered on December 6, 2017 in the United States. 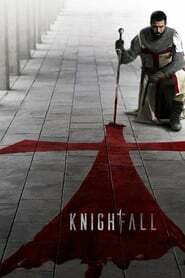 Go deep into the clandestine world of the legendary brotherhood of warrior monks known as The Knights Templar.